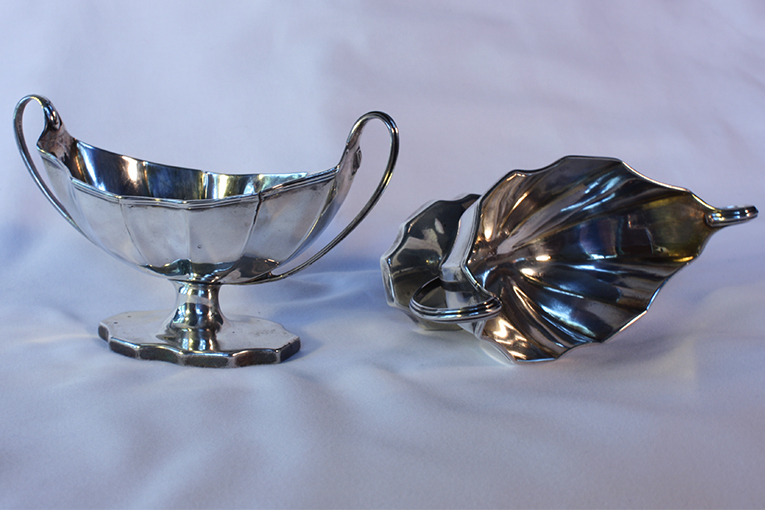 A pair of George III Sterling Sweet Meat Dishes on Pedestals by Henry Chawner, London, with date marks for 1791-92. 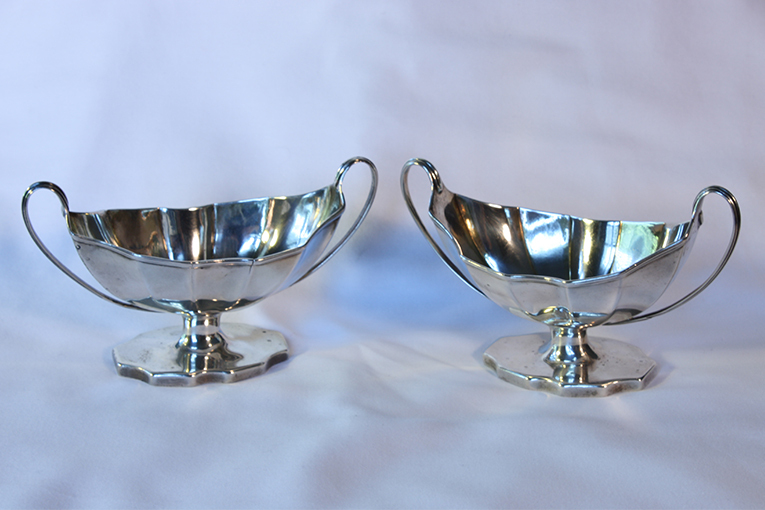 These charming and classical form bowls measure five and one-quarter inches across and each weigh over three ounces troy. The interior of the bowls show traces of gilding. 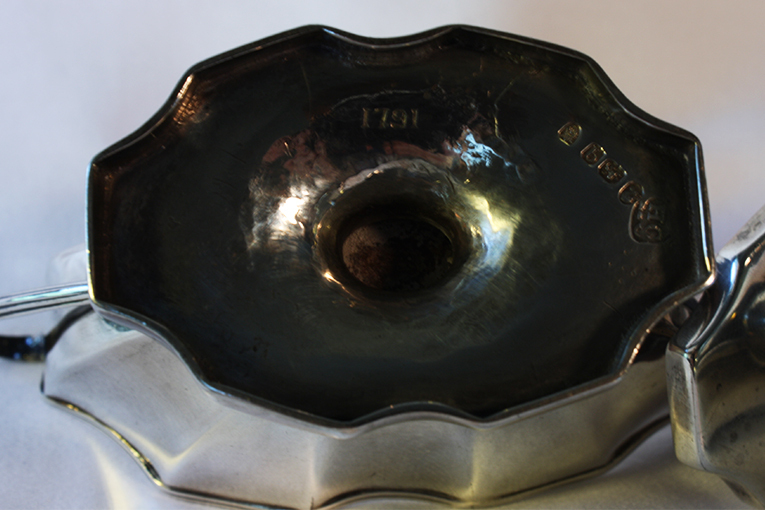 Aside from the date letter, each is also engraved with the date "1791" As seen in the photos. Both are in excellent condition except for a minor crack in one of them. Neither are monogrammed.